Richard Bloos was born in Dusseldorf, Germany in 1878. He was associated with Janssen, Spatz and Forberg at the Dusseldorf Academy and was greatly influenced by the work of Max Liebermann. 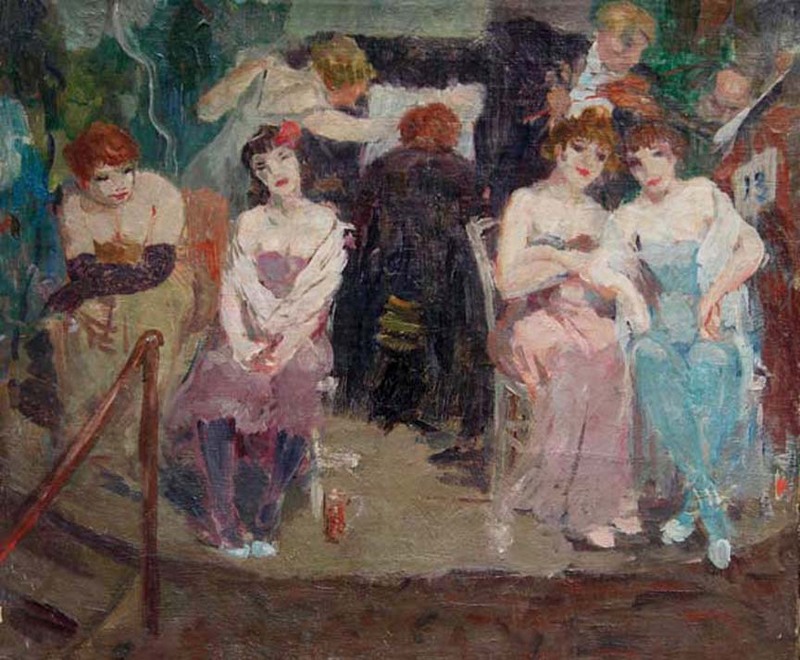 In 1906 Bloos settled in France and exhibited with the Salon des Artistes Indépendants in 1909 and 1910, the Salon d’Automne in 1909 and 1913 and the Salon de la Société Nationale des Beaux-Arts from 1910 to 1914. He lived within the Montmartre and Montparnasse artist communities. The scenes of modern Parisian life inspired his figures, portraits and landscapes and his style was inspired by the techniques of the Postimpressionists. Bloos' paintings have since been included in exhibits in Cologne, Hambourg, Paris, London, Versailles and New York. Several drawings and sketches were included in the retrospective publication Hundert Jahre Künstlerverein Malkasten Düsseldorf 1848-1948. A short biography on Bloos by Paul Westheim is also included in the April 1911-September 1911 volume of Deutsche Kunst und Dekoration.